Major volcanic eruptions alter the Earth's radiative balance, as volcanic ash and gas clouds absorb terrestrial radiation and scatter a significant amount of the incoming solar radiation, an effect known as "radiative forcing" that can last from two to three years following a volcanic eruption. This results in reduced temperatures in the troposphere, and changes in atmospheric circulation patterns. 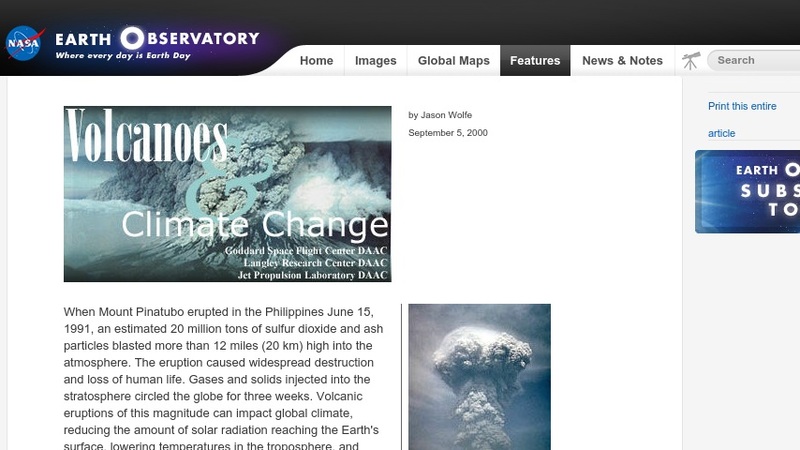 This site uses text, photographs, and links to related sites to describe volcano-induced climate change.